Gambling addiction is one of the most prevalent behavioral addictions. Between 1-5% of Americans engage in compulsive gambling. Among young people and ethnic minorities, the rate is even higher. A 2010 study found that 6-9% of adolescents and young adults have a gambling addiction. Gambling addiction can lead to other problems, including debt and relationship woes. It also commonly co-occurs with other addictions, especially to alcohol. It’s easy to feel hopeless and overwhelmed while in the grips of an addiction to gambling. The right treatment can help those with a gambling problem regain control over their lives. A 2016 Gallup poll found that gambling is a common diversion, with 64% of a representative sample of Americans saying they gambled at least once during the last year. Gambling is everywhere, from state lotteries to school raffles. This can make it difficult to distinguish problem gambling from typical gambling. For people in recovery, the omnipresent nature of gambling opportunities can make gambling sobriety challenging. Typical gambling is a fun activity that a person can easily leave behind. They don’t feel the need to lie about their gambling or gamble in secret, and they are unlikely to feel guilty about gambling. Gambling addiction is often secretive, leading to feelings of shame and guilt. People with gambling addiction may experience a range of other problems related to their compulsive gambling. Needing to gamble larger sums of money to get the same level of excitement. Feeling restless or anxious when attempting to quit gambling. Repeated efforts to stop or reduce gambling. Gambling as a way to cope with emotional distress. Returning to gambling even after losing money and often as a way to recoup gambling losses. Lying to others about gambling. Jeopardizing or losing something important, such as a job or relationship, because of gambling. Experiencing financial distress due to gambling. Many gambling addicts rely on others to help with financial problems related to gambling. Using gambling to manage unpleasant feelings such as depression and anxiety. Physiological arousal and excitement associated with gambling. Feeling a sense of achievement related to gambling winnings. To those unfamiliar with behavioral addictions, it might seem strange to compare gambling addiction to chemical addictions. Yet gambling addiction can, over time, change the brain in ways similar to alcohol and drugs. What Makes Treatment for Gambling Addiction Difficult? Unlike drugs such as alcohol and tobacco, gambling doesn’t directly change the brain. To those unfamiliar with behavioral addictions, it might seem strange to compare gambling addiction to chemical addictions. Yet gambling addiction can, over time, change the brain in ways similar to alcohol and drugs. This stress may actually trigger more gambling, since people with gambling addiction may use the behavior to manage stress. This initiates a vicious cycle, in which gambling undermines a person’s quality of life, and they then use it to cope. Life gets steadily worse, leading to progressively more gambling. Gambling often occurs alongside other addictions, especially alcoholism. One study found that about 23% of people seeking treatment for gambling addiction were also addicted to alcohol. The interplay between two more addictions can complicate treatment, making recovery more challenging. Most people with a gambling problem find that they have to totally abstain from gambling to avoid relapsing. This can prove difficult. Many forms of gambling are legal, so opportunities abound, making it difficult to avoid. Because gambling is a popular social activity that’s readily available everywhere from church fundraisers to sports events, avoiding temptation can feel like a full-time job. Treating underlying mental health issues, such as depression or anxiety. Psychotherapy to address the emotions linked to gambling and offer constructive feedback that helps gamblers quit. Outpatient programs such as intensive addiction outpatient or addiction day treatment programs. Support groups. One of the most popular options is Gamblers Anonymous, a loosely spiritual 12-step program. Some people instead choose secular programs, such as SMART Recovery. Some people find they have to try several treatments before one works. Others pursue two or more treatment options at the same time. 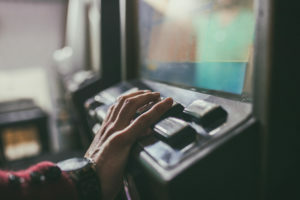 About 90% of people with a gambling addiction relapse the first time, leading many addiction experts to view relapse as a part of the recovery journey. Each relapse affords the chance to learn more about what works and what doesn’t in recovery and to get closer to permanent gambling sobriety. Addiction thrives on shame and so often operates in secrecy. For many people, simply admitting that they have a problem, or contemplating that a loved one might have a problem, is a powerful first step toward recovery. This admission helps remove justifications and excuses and shifts the focus toward finding appropriate treatment. If someone you love appears to have a gambling addiction, it’s important to treat their compulsive behavior not as a moral or personal failing, but as a health problem no different from diabetes or heart failure. No one willingly chooses to become an addict. Your loved one would stop on their own if they could. Try talking to them without judgment. Express concern and support, and offer to help them find treatment—or even to go with them to treatment. If someone to whom you are close has an addiction that is affecting your life, it’s important to draw and verbalize clear boundaries. For instance, parents might clarify they will no longer give children money that will be used on gambling, while a partner might open a solo bank account to protect the family’s finances. Some people struggling with gambling hope they can stop on their own without getting help or telling anyone. This goal is often motivated by shame and denial. Most addicts will need treatment and support to get and stay sober. A compassionate therapist who specializes in addictive behaviors can help you decide if you have an addiction and explore next steps. The right therapist can also help you talk to loved ones, repair broken relationships, and devise a plan for getting your life back.